Are you easily annoyed? Do you find that you get irritated at seemingly minor things? Join the club. It’s very common for us to find ourselves feeling annoyed at our spouses or partners, parents or children, co-workers or bosses, or even seemingly random things such as traffic, our neighbor’s uncut lawn, or bad weather. Sometimes just the feeling of being annoyed can be enough to irritate us even more. But is it possible that our yoga practice can help with irritability? To a large degree, what annoys us is a matter of individual taste, though it is somewhat culturally determined as well. For example, the pace of business transactions in India may irritate those of us who live in a faster-paced country such as the United States. Or the comparatively loud voices of Americans may annoy people from more soft-spoken cultures such as the Japanese. This is a good time to remind yourself of the Sutras for the Aquarian Age, especially to Recognize the Other Person is You. On a personal level, it often happens that the people who most irritate us are those we are closest to. In fact, sometimes it’s the same traits that draw us to those people in the first place that turn out to be the most annoying. It’s important to keep in mind that feeling mildly irritated in and of itself usually isn’t a huge problem; the issue is how we respond to it. And thankfully, yoga, and particularly, meditation can be very effective at helping us with that. Irritability has many causes, the most common of which derive from stress. An ongoing sense of irritability may indicate a medical condition; for most of us, however, reducing stress and training our minds how to respond can make a huge difference in our lives. A daily yoga and meditation practice is a big first step. Over time, with continuous practice, our thoughts and emotions begin to shift. Even a few minutes of long deep breathing when we start feeling annoyed at someone or something can make a tremendous difference! 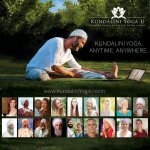 Kundalini Yoga offers some excellent kriyas and meditations to help combat irritability. The “Kriya for Tolerance” in Sadhana Guidelines is a short sequence of exercises to help gain strength for tolerance and humility. In just 15 minutes a day, you can begin to change your mindset and find a little more empathy for people or things that annoy you. 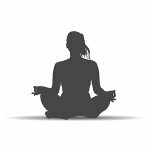 Another good choice is the “Kriya for a Calm and Open Heart” in the I Am A Woman Yoga Manual. 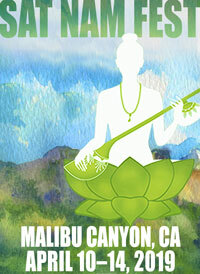 This kriya uses the power of the mantra Rakhe Rakhanhar to tap into the beat of the heart to calm and center yourself. Scientists now believe that feelings of irritability are regulated by the frontal lobes of the brain, which is the part of our brain that controls emotions and judgments related to compassion, empathy and love. A consistent yoga practice can have an impact on brain activity, particularly the frontal lobe area. There’s a fun Kundalini kriya that works directly on this, the “Kriya for the Frontal Lobe of the Brain”, which can be found in Kundalini Yoga for Youth and Joy. 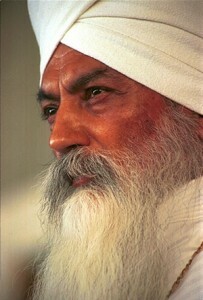 Or try 11-31 minutes of the Kirtan Kriya. You’re bound to feel less irritated after that. If all else fails, for a quick fix just sit and meditate to a soothing mantra such as Guru Ram Das until you feel your mood lifting. It WILL happen, no matter how irritated you started out.